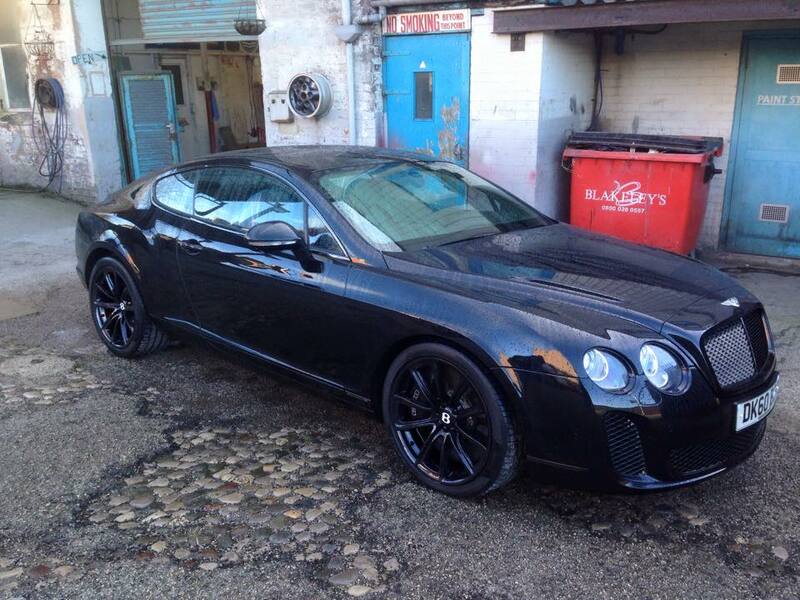 Experienced automotive motor body repairer and sprayshop located in Preston, Lancashire. Sprayfit (Preston) offers a full range of expert accident damage and body repair, respray and paint restoration services in our dedicated automotive repair facility in the centre of Preston, Lancashire. From minor paint repairs to more comprehensive accident damage, wheel refurbishment and resprays, Sprayfit carries out repairs on all makes and models of private and light commercial vehicles. From a Mini to a Bentley - Sprayfit is your trusted repair provider to ensure your car is returned to good as new. Another casualty of the roads is returned to its happy owner! Fast friendly and reliable repair specialist. Did an amazing job fitting and spraying the drivers wing on to my Golf MK2, handed my car in on Monday the pick up was on Wednesday! Sprayfit Preston owner Ian hands back a vehicle to another happy customer. A Quality driven personal service. Established in 1991, Sprayfit Accident Repair Centre is one of the longest-serving bodyshops covering Preston and the surrounding Garstang, Leyland, Chorley, and Lancashire areas. Whilst many of our crash repairs are done as insurance work, we welcome private customers requiring superficial and cosmetic damage through paint rectification work, dent repairs, bumper refinishing, alloy wheel refurbishment and repainting, fitting, and spraying of bodykits and body-parts or colour changes. All of our services meet the same high standards as the car accident repairs we perform for all major UK insurance companies. At Sprayfit Accident Repair Centre, your vehicle (car or light commercial) receives the highest quality of repair work delivered with care and craftsmanship. Whether your car has been involved in an accident, stolen and recovered, vandalised or merely needs some TLC to bring it back to original, you can trust Ian's 48 years of automotive repair work experience and countless happy customers to trust your car is in safe and experienced hands. With a full range of services on offer, Ian can ensure that whatever repair work that needs to be carried out, it is done to the highest manufacturer standards to ensure your car is both cosmetically restored and safe, and delivered at an affordable price.